Our denturist is a unique professional that has over 30 years of clinical experience which he combines with his extensive technical knowledge as a Master Dental Technician. It is this expertise that enables us to help our patient’s look and feel great- to ‘change their life’. We pride ourselves in being good listeners who spend a great deal of time helping you to receive the highest level of satisfaction with our products and services. We are experts who work more hours than we should, because we know our customers deserve it. We understand it’s not just about your teeth or how you look, it’s how you feel about yourself too. We are committed to doing everything we can to enable our patients to enhance their lives. 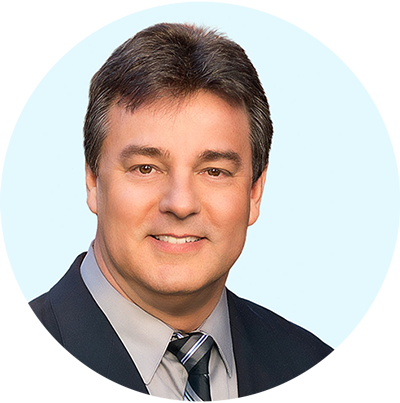 Stefan Lindenau has over 30 years of worldwide clinical experience as both a Master Dental Technician and Denturist. He earned his bachelor degree in Dental Technology in South Africa, and graduated with honors from Georgia Brown College (Canada) with his Denturist Degree. Leaving South Africa in 1994, Stefan ran a successful Denture Clinic in Ireland for 10 years before moving his family to America. He brought his Full Service Laboratory and extensive knowledge to the USA. Residing in Atlanta, Georgia, Stefan specialized as a Master Ceramist and Denture Technician. After 10 years, his love for travel and desire to leave behind the city life brought Stefan to the exquisite state of Oregon. In January of 2014, Changing Smiles opened for business in the magnificent town of Bend. What makes Stefan’s service superior is his unique combination of technical and clinical skills, his worldwide experience, and his great love for his patients. His skill and expertise make him an excellent denturist, but his compassion and care for his patients makes him one of a kind. He treats every patient as if he or she is a treasured friend. His priority has always been his patients and giving them the best overall dental experience possible.